Sales of these posters benefit the Jason Becker Special Needs Trust. This is a limited edition of 1,500. 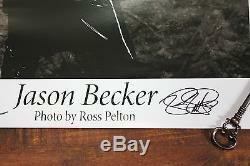 These posters are signed by the photographer, Ross Pelton, and thumb printed by Jason Becker (Gary Becker legally signs for Jason). Each thumb print is unique and comes straight from Jason's right thumb. 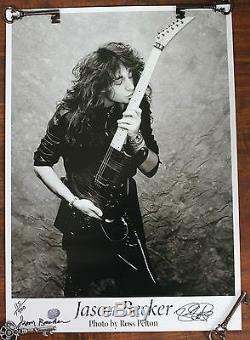 This poster features the iconic Ross Pelton "Guitar Kiss" photograph of Jason Becker. 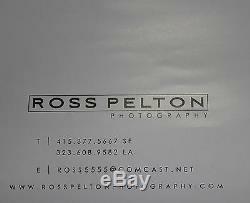 The poster measures approximately 24"x17". It will be sent rolled in a mailing tube that measures 19" x 2". International orders: If you are purchasing this item from outside the. We are legally required to accurately report the cost of your item. The item "LIMITED Edition SIGNED and NUMBERED Guitar Kiss Poster 24x17inches" is in sale since Saturday, April 4, 2015. This item is in the category "Art\Art Posters". 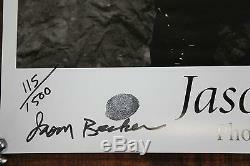 The seller is "beckteaam" and is located in Richmond, California.